Kate Middleton wore what might be her best ever wedding guest look in Windsor today for Princess Eugenie's big day. 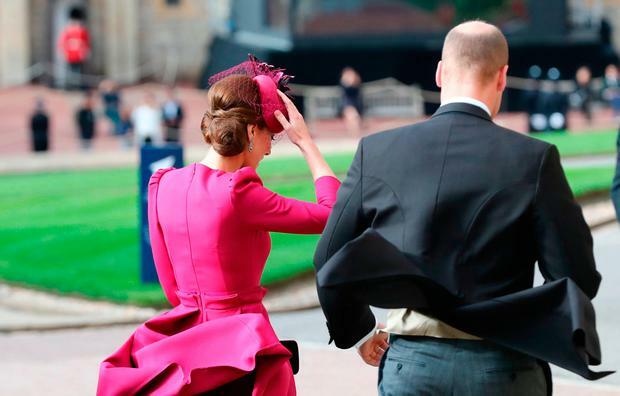 Britain's Duchess of Cambridge (37) stunned in a raspberry fit and flare dress by Alexander McQueen, with a matching 3D floral fascinator by Irish designer Philip Treacy, a pair of burgundy velvet heels and a black velvet box clutch. it's a marked departure from her normally overly conservative attire at weddings, as she will often dress down to avoid from taking away too much attention from the bride. The new injection of life into her wardrobe is typical of her fashion choices after returning from maternity leave when she has a renewed vigour which is reflected in her dress choices. 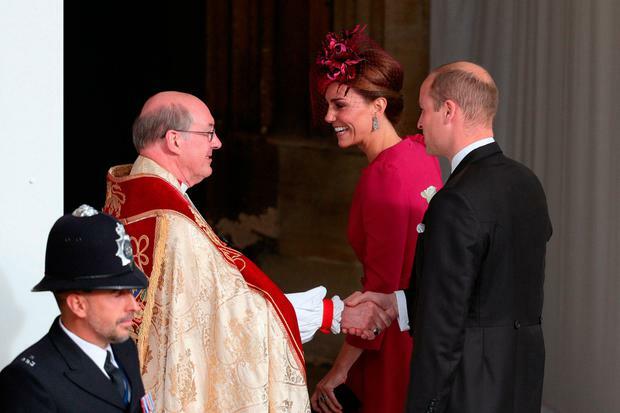 Kate and husband Prince William arrived at the same time as Prince Harry and new wife Meghan Markle, who opted for a navy blue dress and burgundy Mulberry clutch.